What are the origins of human consciousness? Can science and evolution explain human development, or do we need to look to other sources to understand the depths of human intelligence? How does one respond to Richard Dawkins and others who argue for an exclusively scientific explanation of human nature? Father Brendan Purcell tackles these questions and many more in his new book From Big Bang to Big Mystery: Human Origins in the Light of Creation and Evolution. He spoke to Tim Reidy during a visit to New York. 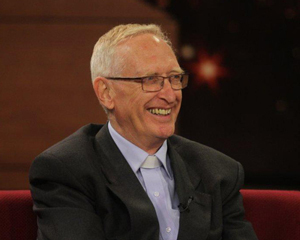 Father Purcell is Adjunct Professor in the School of Philosophy at Notre Dame University, Sydney, Australia.